Like the best magic tricks, the original Now You See Me made us expect one thing and then delivered something unexpected. In other words: it looked like it would be terrible, it sounded like it would be terrible, but it wasn’t. It was a wild and energetic caper about a bunch of stage magicians who pulled off a series of impossibly elaborate heists, and it had all the zing – and the tawdriness – of a Las Vegas stage show. Fortunately, the follow-up was directed by someone who knows a thing or two about theatricality. Jon M. Chu, the director of the best two Step Up movies, re-stages the events in Now You See Me 2 so that the audience gets basically the same movie, but from a different perspective. Whereas the first film kept us at arm’s length, only revealing how each trick was done after it was already over, Now You See Me 2 lets us stick with the magicians the whole time, throughout the planning process, and throughout the heists. It sounds like a very minor change, but it’s actually a clever way to do the same movie twice and get away with it. It’s fun to wonder “How did they do that?” but it’s much more involving to ask “How are they going to pull this off?” The first Now You See Me was a con artist movie but the sequel is way more of a heist movie, and while it can’t help but feel a little familiar it’s still a fun time at the movies. 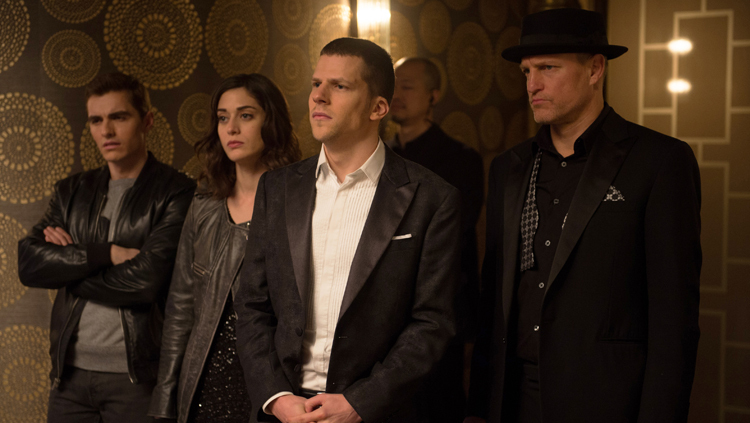 The plot is basically just an excuse, but here it is anyway: after the events of Now You See Me, The Four Horsemen – Jesse Eisenberg, Woody Harrelson, Isla Fisher and Dave Franco – have gone into hiding for a year. 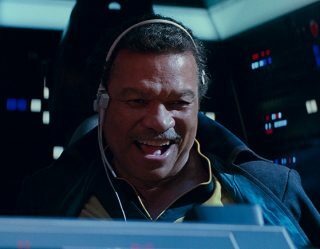 They’re getting so antsy that Fisher’s character apparently couldn’t be bothered to stick around, so she got herself written out of the script as quickly and efficiently as possible. In her place is a brand new magician, played by the ever-rambunctious Lizzy Caplan, who once tried to pull a hat out of a rabbit with disastrous results. 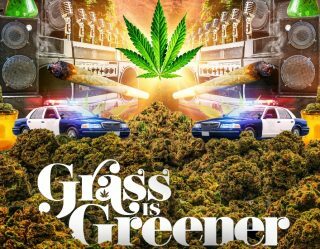 Their comeback gig, a heist intended to expose a corrupt corporate tech giant, goes south and soon they find themselves blackmailed into working for a reclusive billionaire (Daniel Radcliffe) who needs something else stolen. Basically, now they have to steal that. Meanwhile, Mark Ruffalo is trying to track them down with Morgan Freeman by his side. 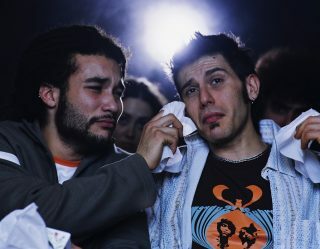 The film tries to make everything seem a lot more complicated than it really is, but since that’s the essence of stage magic it’s hard to complain about it. You don’t go to a movie about magicians stealing circuit boards to experience high drama, which is why it’s a little disappointing that Now You See Me 2 tries to spring some high drama on us anyway. There are subplots upon subplots, mostly involving the whole “secret society” idea from the first film, and they don’t all hit their emotional marks. That secret society was the least interesting thing about Now You See Me and now it’s the least interesting thing about Now You See Me 2. It was so secretive last time that we had no damned idea what exactly it was, why it was so important, and even exactly what it did. And we still don’t, so spending a ton energy selling us on it and not explaining why we should care feels like a wasted opportunity for this film. 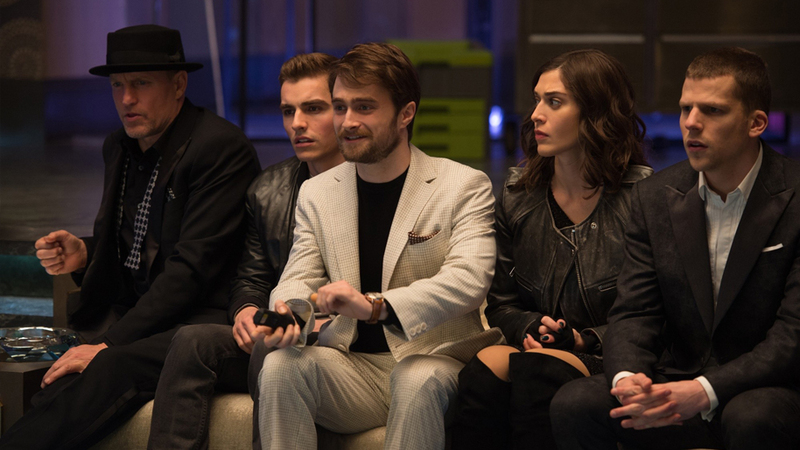 Now You See Me 2 – which really should have been called Now You Don’t, if you think about it – is a very fun film about very silly things. The cast has charisma, the story is fast-paced, the set-pieces are memorable and strange. 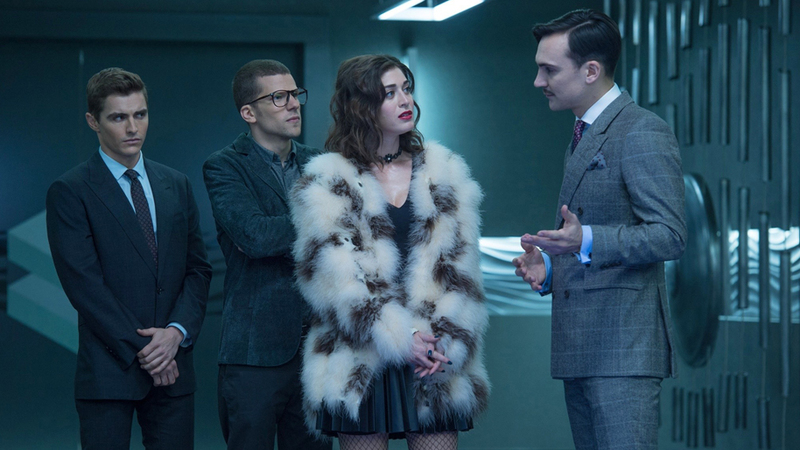 It may amount to little more than a rehash of the original, but what Now You See Me 2 lacks in prestige it makes up for in showmanship, and it’s a show worth seeing.